We just got a big shipment in from our newest vendor, Seedling! So much creative and cool stuff for the kiddos including “Design Your Own Superhero Cape” and “Make Your Own Snow Globe” kits. We’ve also included our popular Tickle Monster Laughter Kit that comes with a fun pair of tickle monster gloves that no kid can resist! And our “And Then…” story starters which are excellent for any age group and are fun for parents as well. Our holiday gift guide for kids is rounded out by some of our favorite art prints that are both cool and educational! Enjoy! 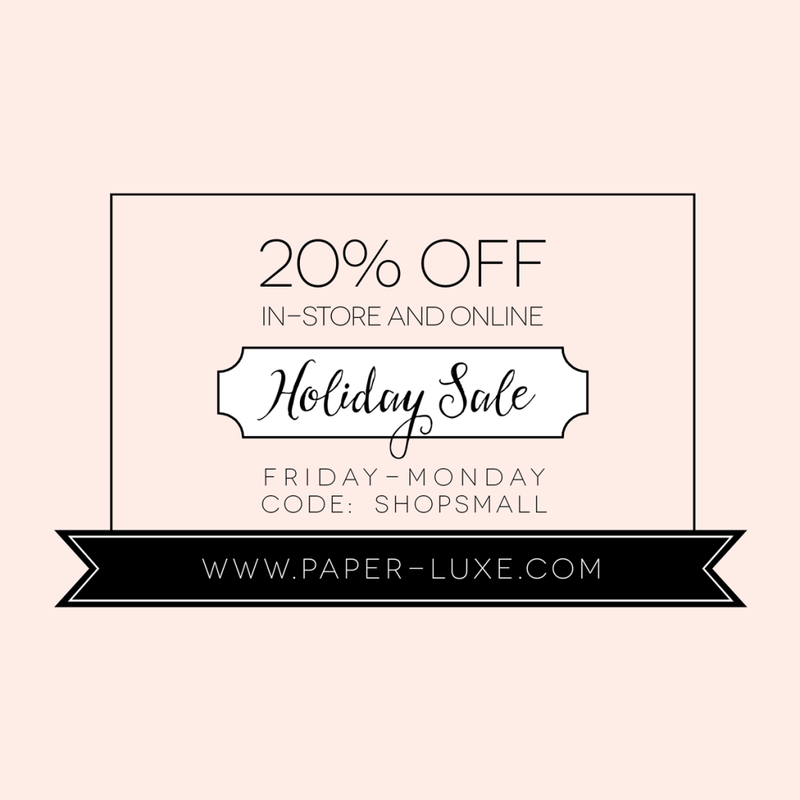 Paper Luxe Black Friday Sale! It’s that time of year! 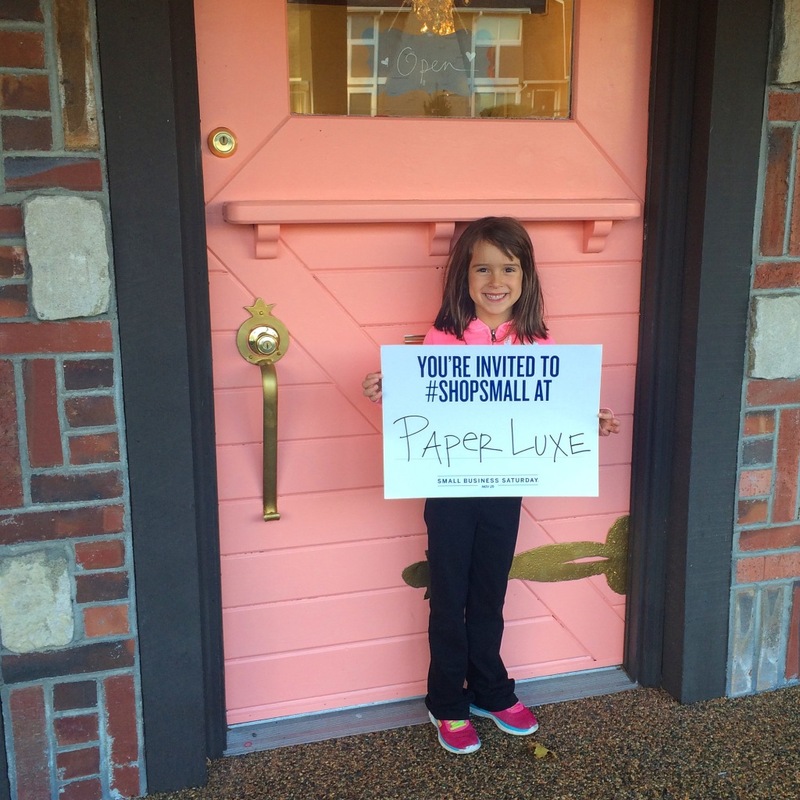 The annual Paper Luxe Black Friday Sale starts Friday and lasts through Cyber Monday. The entire shop will be 20% off (including items already on sale!) with the coupon code SHOPSMALL*. * Karen Adams Calendars and refills are excluded from this sale. Come join us in the shop on Saturday for some extra fun for Small Business Saturday! We’ll be having a raffle for lots of great giveaways. And we’ll have some sweet treats and hot drinks! This is definitely one of my favorite gift guides this season! The gift guide for book lovers includes a journal to keep track of the books you’ve read, a new library-themed 2015 Kate Spade agenda, an adorable card (that can also double as an art print! ), and more. Check out the full list here and some of our book lover favorites below! Need a gift for the cat lady in your life? Or your pug-obsessed friend or relative (we all have one!)? Check out our gift guide for animal lovers below, or click here to see our entire collection. Here are a few of our favorite gift ideas for mom this holiday season! To see our entire gift guide for mom (and other categories, too! ), click here.